The OVA will connect the events of the game with the events of the movie, '.hack//The Movie: Sekai no Mukou ni', and â€œreveal the last truthâ€. The protagonist of the OVA will be Dave, who also appears in the main movie. 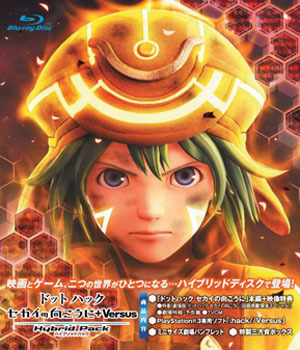 The OVA will take place in both 2024 (the year in which the movie takes place) and 2025 (the year in which the game .hack//Versus takes place).